For the first time the Medical School is now rated above Cambridge University in the prestigious Times and Sunday Times Good University Guide 2019. Swansea was ranked third, two places above Cambridge in a reversal of last year's result. The latest Guide also showed a rise of six places for Swansea University, pushing it into its highest ever position and into the UK top 30. Swansea is also runner-up for the overall UK University of the Year title, and has won the Welsh University of the Year title for the second time in three years, cementing its position as Wales’ leading higher education institution. Professor Keith Lloyd, head of the Medical School, said: “Building on Swansea University's top 30 position, the Medical School is delighted that we are now ranked above Cambridge for the subject medicine. In addition the Medical School is also ranked first in Wales for biological sciences. Professor Lloyd said: “We are continuing to grow as a medical school. We now have 20 extra funded medical places from Welsh Government, our pioneering Physician Associate Studies course will increase its intake this year and we have also launched two new undergraduate courses for September 2018 – a BSc in Medical Pharmacology and a BSc in Population Health and Medical Sciences. “We are growing our postgraduate portfolio with new Master’s programmes in Diabetes Practice, Genomic Medicine and Clinical Medicine. 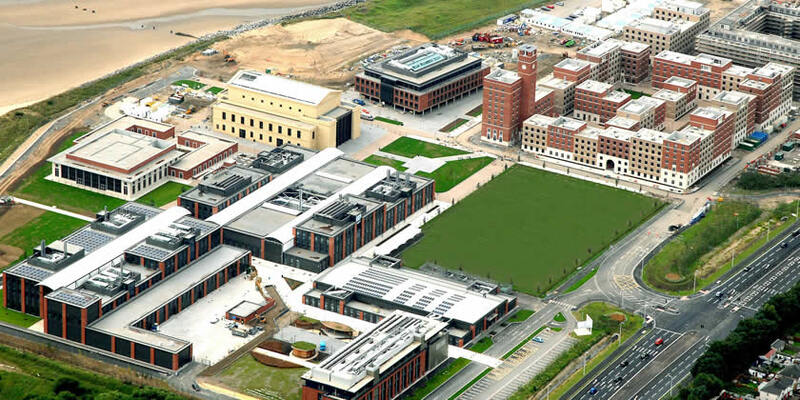 Swansea University Medical School, which was only established 14 years ago, now offers a portfolio of undergraduate and postgraduate courses spanning medicine, physician associate studies, biochemistry, genetics, genomics, autism, data science and health informatics, health and life sciences working to meet tomorrow’s science and healthcare challenges.